New Project for Seeing2Sound; gigs with Excelsa Voces www.excelsavoces.com and Vocal High www.vocalhigh.com. "Combining music, atmospherics and voice Seeing 2 Sound practice the art of audio alchemy in performances that conjure the most vivid of visual experiences. Formed in 2015 by musician Chris Long and actor Edward Pinner Seeing 2 Sound use their imaginative use of sound to create an almost cinematic experience - a cinema of the imagination. Taking inspiration from a wide range of audio forms including radio drama, ambient music and soundtracks – and using soundscapes, Foley effects, live music and the human voice – a Seeing 2 Sound performance opens up new perspectives on contemporary and classical texts". October 2015's 'Horror Show' (mashing up texts by Mary Shelley & Edgar Allen Poe with songs by Alice Cooper, alongside devised interpretations of horror films 'The Shining' and 'Halloween') was well-recieved at Stratford & Leamington theatres, and S2S are now (finally!) working on their next devised piece. Watch this website and their Facebook (see 'Links' page on this website) for dates. 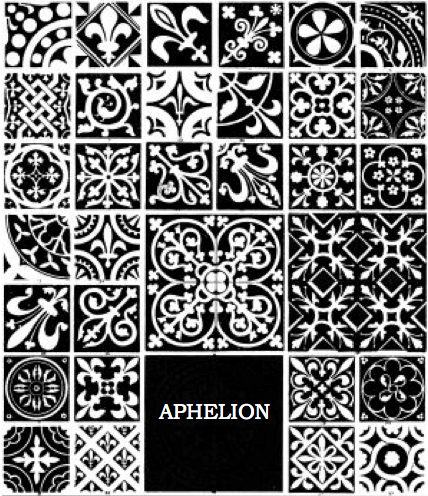 ​Formed in 2014, Aphelion perform as a core duo of Chris (instruments and electronics) and Paula Evans (voice), plus guest musicians. Gigs so far have also featured multi-instrumentalist David Coulter (playing musical saw, violectra and jawsharps), and Birmingham-based musician Emma Whitcroft (flute, sax). Paula is a superb interpreter of Medieval plainchant and an Aphelion concert delivers a dreamlike collage of ambient electronic textures and keyboard improvisation alongside contemporary and ancient music by the likes of Hildegard of Bingen (12thC abbess), John Dowland, Meredith Monk, John Cage etc - plus original compositions by Chris. Recent Aphelion performances include the highly acclaimed 'Towards The Within 1' & '2' concerts at Pershore Abbey; more recently Aphelion has evolved into Excelsa Voces, a vocal quintet led by Paula, performing alonsgide Chris & guest musicians. More information about EV can be found at www.excelsavoces.com A 3-track Aphelion CD from 2014, featuring 2 of Chris's compositions and a piece by Hildegarde, is available; a 2017 album of recordings by Excelsa Voces, 'The Crystalline Heavens', is also available. 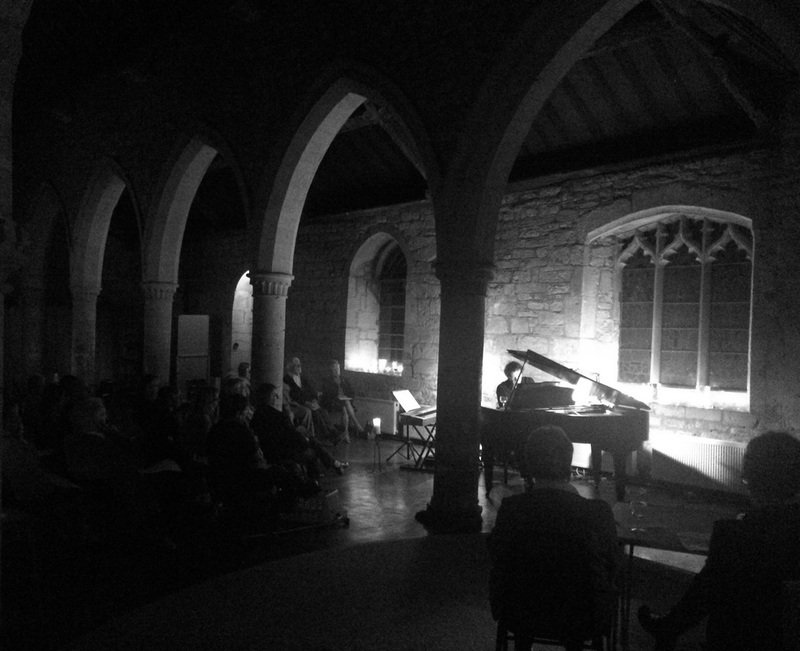 Chris explores diverse repertoire in his piano concerts. Recent recitals have included music by Chick Corea, Philip Glass, Franz Liszt, Joby Talbot, Chilly Gonzales, Dmitri Shostakovich, Eric Satie, Keith Jarrett, Arvo Part, John Cage, JP Rameau, Tony Banks, Nils Frahm, Claude Debussy, Johannes Brahms, Franz Schubert, Anne Southam, Meredith Monk, Kate Bush, Frank Zappa, Bob Marley... plus Chris's own compositions & improvisations. Having completed 14 of his monthly Sunday afternoon 'Pianoscapes' concerts in Pershore (see 'Pianoscapes' page on this website), in 2019 Chris has started a second series, at Elmslie Hosue in Malvern, in addition to the continuing Pershore series. Chris also works as a pitband player; since 2015 he has played keyboards in productions of 'Jesus Christ Superstar', 'Sweeney Todd', 'Annie' and 'Oklahoma' at the Redditch Palace Theatre, and for 'Legally Blonde' & the sold-out run of 'Priscilla: Queen of the Desert' at Stourbridge Town Hall. In 2019 he'll be playing keyboards for 'Spamalot' at the Palace Theatre, Redditch, & 'Oliver' at Stourbridge. - 'PENDA'S FEN', live soundtrack for the classic 1974 film by David Rudkin and Alan Clarke. Voice, keyboards, trombone, assorted electronics - performance at Brotsfabrik Kino in Berlin, August 2018. - 'My November Guest' (words by Robert Frost) for SATB - premiered by the Avon Singers on 15th October 2016, & 'Pied Beauty' (words by GM Hopkins) for SSSA - premiered in Nottingham on 28th October 2016, by Excelsa Voces.